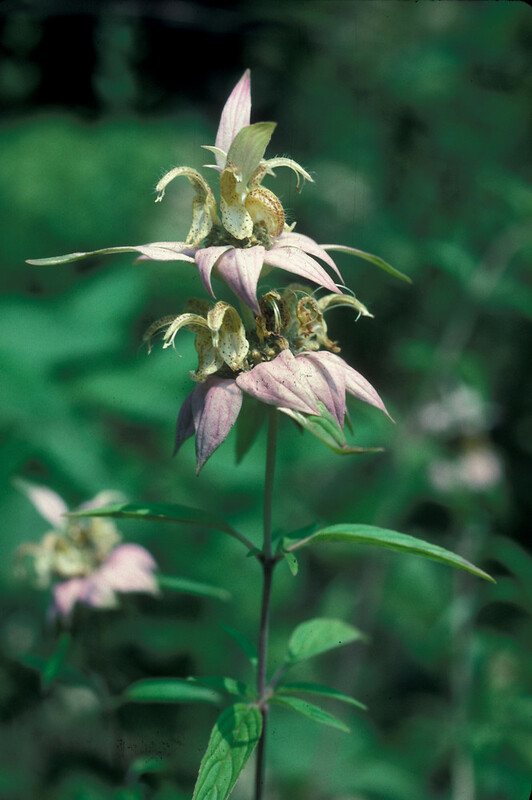 Spotted bee-balm is native to northeastern North America, but it is rare in New England. 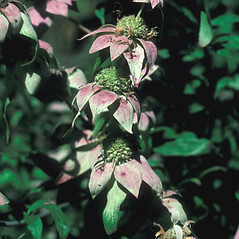 The flowers are subtended by large, whitish, purple-tinged bracts. 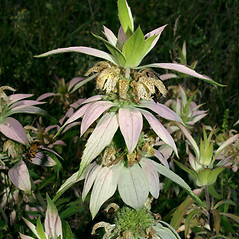 inflorescence consisting of a single terminal verticillaster of flowers or sometimes with a second verticillaster below the terminal one, corolla mainly white to ochroleucous or rarely pink, the upper lip straight or slightly curved, and stamens exserted beyond the upper lip by mostly 2–4 mm (vs. M. punctate, with the inflorescence consisting of 2–5 separate verticillasters of flowers or a solitary verticillaster in depauperate plants, corolla mainly yellow, the upper lip strongly arcuate, and stamens not exserted beyond the upper corolla lip). 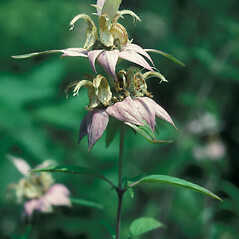 Our variety is Monarda punctata L. ssp. 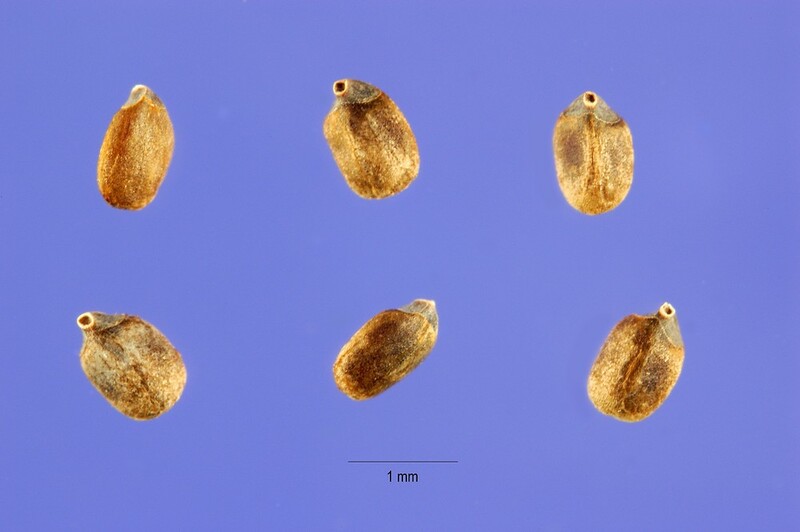 punctata var. 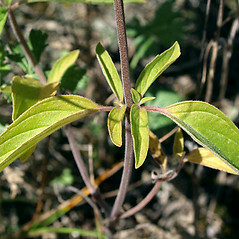 villicaulis. 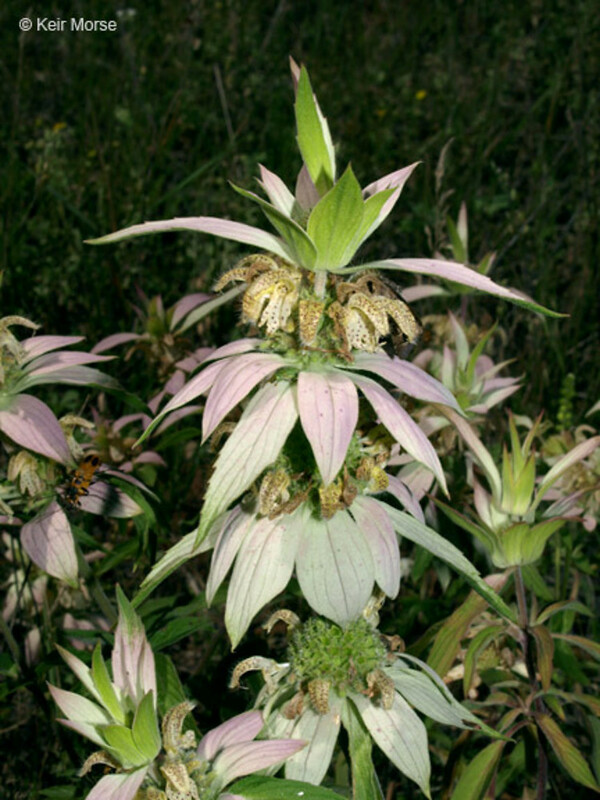 spotted bee-balm. 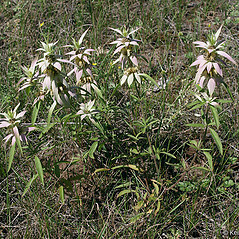 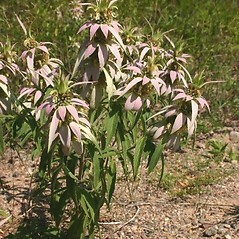 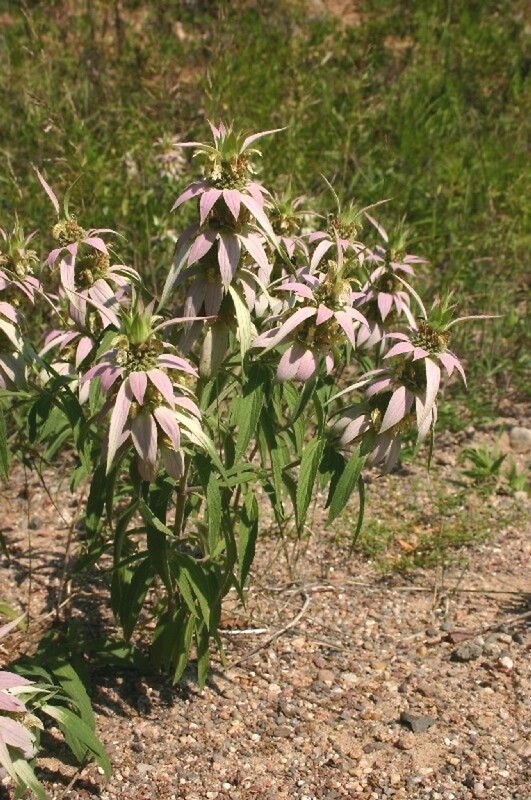 Monarda punctata L. ssp. 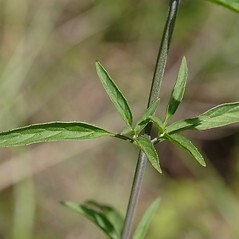 villicaulis Pennell • CT, MA, VT. Fields, roadsides, clearings. 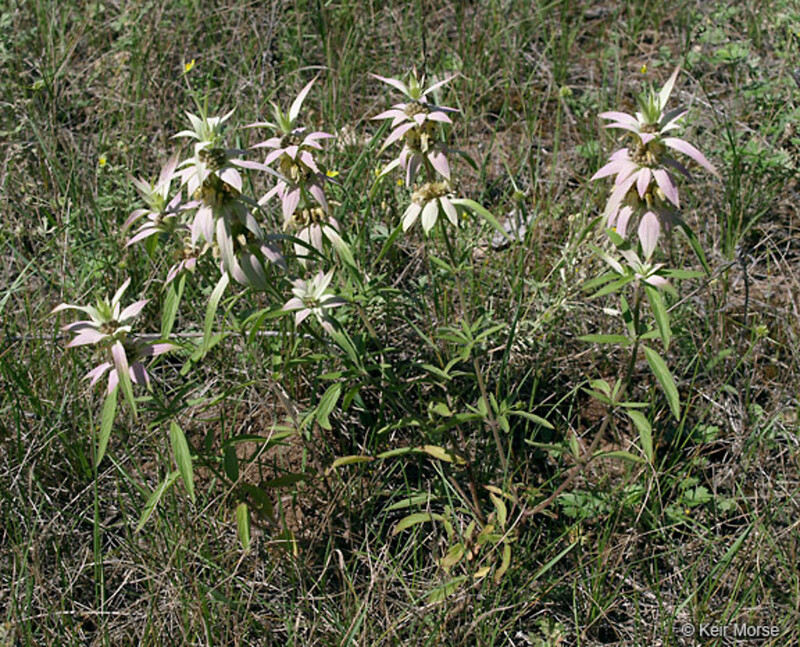 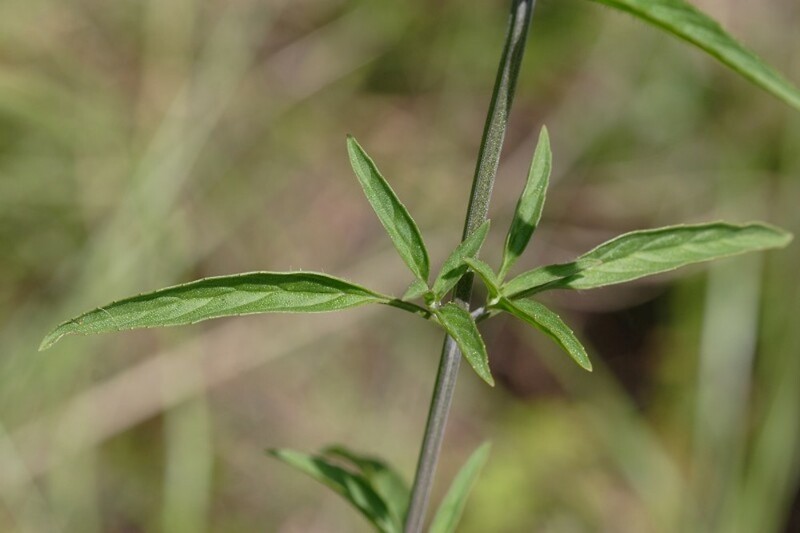 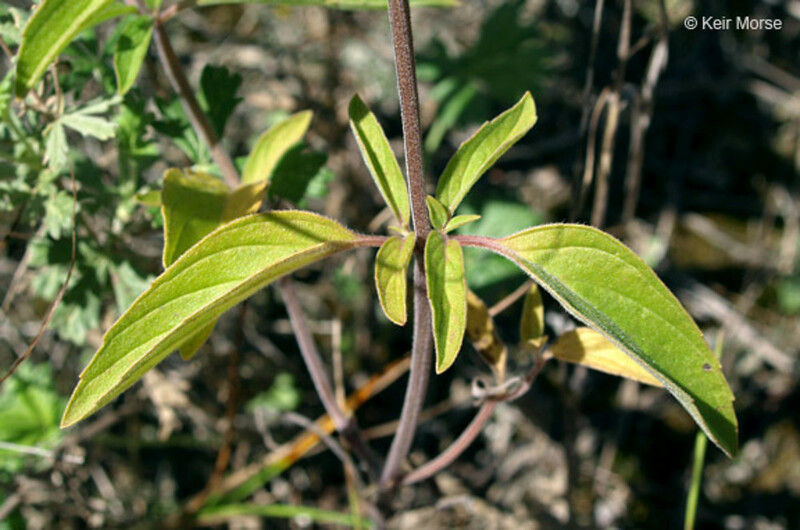 Reports of Monarda punctata ssp. 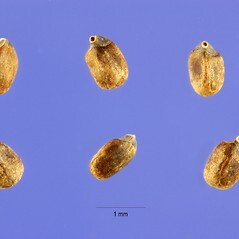 punctata var. 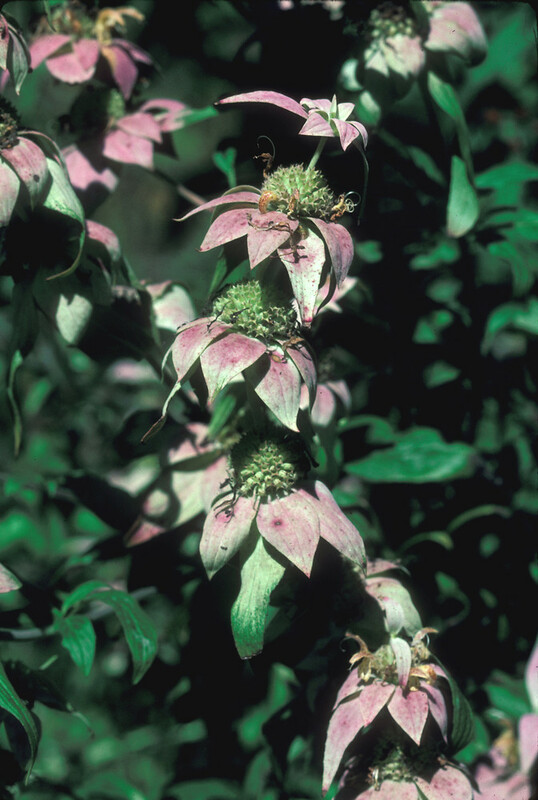 punctata from VT (e.g., Seymour 1982) are referable to this taxon.